The Supreme Court of India is currently hearing petitions under Articles 370 and 35A filed by an NGO over the special status of the state of Jammu & Kashmir (J&K). The Kashmiris have rejected the move terming it ill-intentioned and BJP quest for change of demography. To recall, according to Lord Mountbatten’s plan for partition of subcontinent (June 3, 1947), around 500 princely states acceded to India. But on October 27, 1947 the Indian army landed in the Himalayan valley of Kashmir, leading to what many consider as leading to one of the world's deadliest disputes. The Indian forces entered Kashmir after Maharaja Hari Singh, faced with an internal revolt as well external invasion, requesting assistance from India's armed forces. Pakistan's Pashtun tribal militias had crossed the border of the state, and the Maharaja had already lost control of the western districts of his kingdom. The Maharaja agreed to hand over control of his defence, communications, and foreign affairs departments to the Indian government. Though both sides agreed the accession signed by Maharaja Hari Singh would be ratified by a referendum, which was to be held after hostilities ceased, that vote was never held even after 70 years, making Kashmir an unsolved legacy of partition. Indian political leadership, instead of attending to United Nations resolutions over Kashmir, tried to pacify Kashmiris through different legal deceptions. In 1949, Jawaharlal Nehru struck a deal with Sheikh Mohammed Abdullah, an influential political figure in Kashmir, and inserted Article 370 in the Indian constitution. The article defines Kashmir’s political relationship with New Delhi by granting special status to J&K. It restricts New Delhi’s legislative jurisdiction only to defence, foreign affairs, and communications. In 1954, through a presidential order, Article 35A was passed under Article 370 (1) (d) of the Indian constitution. 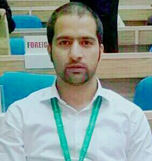 The Article accords special rights and privileges of the permanent residents of Kashmir in government jobs, land acquisition and other public projects. 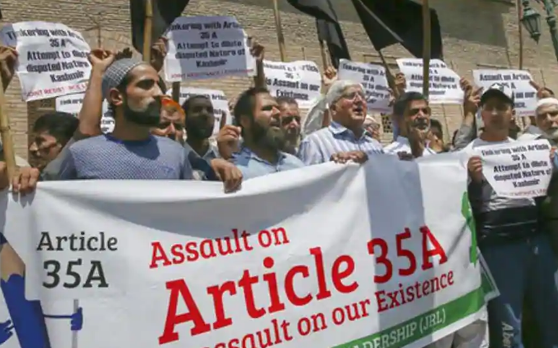 On September 14, 2018, Indian Supreme Court adjourned the hearing on petitions challenging the validity of Article 35A of the constitution to January next year in view of the ongoing law-and-order situation in the Kashmir Valley. The Supreme Court’s hearing on the annulment of Article 35A has once again created fear in the valley. Former J&K Chief Minister and Peoples Democratic Party (PDP) chief and National Conference, two regional mainstream parties, did not contested the planned polls in Kashmir. Separatist leaders, trade unions, religious organisations etc threatened that any attempt to change the demography of the state by “tinkering” with Article 35A will be “intolerable” and warned that Kashmiris would “spill their blood” to safeguard the identity and character of the state and “no court, whether in India or in Pakistan, has any jurisdiction to take decisions that can in any way affect the disputed status of Jammu and Kashmir”. Article 370 and Article 35A have been a contentious issue ever since the state of J&K was annexed to the Republic of India. India has avoided resolution of Kashmir through UN resolutions and have been scheming many political and legal strategies to portray settlement of the issue. Judicial activism is one of the key features of South Asia since 1980. The judiciaries in Pakistan and India, on numerous occasions, have turned down overturned controversial policies of their respective governments in the greater public interests and attempted to deliver justice to the weaker sections of society. Tinkering with the Article 35A, 370 is used as a political strategy by the Centre to change the demography of the state. Be it the rigging of 1987 elections or atrocities inflicted by Public Safety Act (PSA) and Armed Forces Special Powers Act (AFSPA), New Delhi’s policies towards Kashmir haven’t changed much, Centre has never really given Kashmir the promised ‘right’. What Congress did behind the curtain BJP is doing it openly. It is time for the Supreme Court of India to decide the issue on merit. The Apex court may decide not to attend to the petitions that go against UN resolutions, rather bound its government to sincerely settle the fate of Kashmiris being humiliated on a daily basis. Let the petition in the Supreme Court be the beacon of hope and peace in the region.